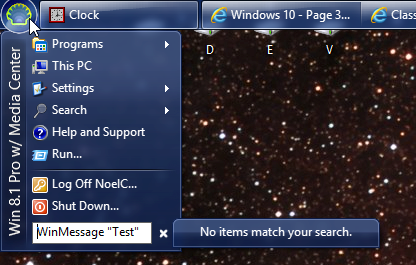 from the Search box or Run option in Classic Shell. Now the addition of a parameter causes an Explorer window to open with a failed search. 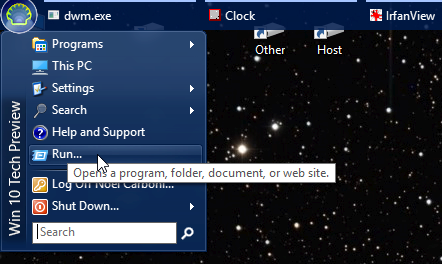 Note that when I do the same thing from Classic Shell 4.2.2 in Win 8.1 the "See more results"
submenu item does NOT pop up and when I hit return I DO see the application run properly with the parameters. This is the more preferable result. On Win 10 any attempt to bring up the Run box from Classic Shell yields nothing at all. Last edited by NoelC on Thu Jul 02, 2015 4:50 am, edited 1 time in total. OK, on the first item, I now realize the "See more results" entry comes from the [ ] Search files box being checked. 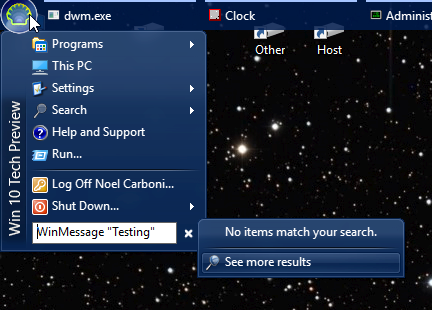 It's also checked on my Win 8.1 system, but I keep the search indexer disabled, so it was non-functional (and showing a red mark). However, the Run box is still non-functional. In Classic Start Menu, regedit -M doesn't open another instance of Regedit because the parameter is being ignored. Btw I checked previous versions and this bug/regression is new for Classic Shell 4.2.2 beta. Earlier versions are not affected. 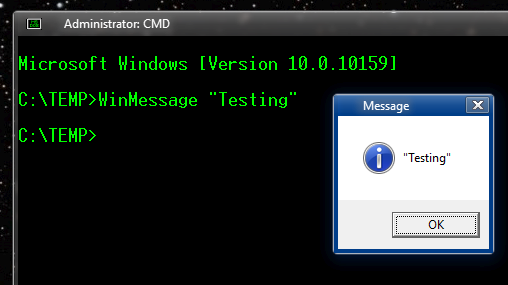 Hm, the Run command works for me on build 10130, with both Classic and Windows 7 styles. What build do you have? is it 32 or 64 bit? Run command works for me too. Well, I *had* 10159 (x64), but Microsoft has seen fit to send out another one. Seems like all my time any more doing is in reworking the config settings I like after new builds reset most of it. I'll let you know if 10162 (or whatever this new one is going in now) allows the run prompt to come up. Assuming the problem continues, do you have a log or something that I can look in to see why it's just ignoring the request for Run? Please try the Run command before you do any customizations to 10162 to make sure it is broken from the start. There are no logs that can help diagnose it. If you still have problems after the upgrade I will have to make a small test program for you to try. Since 10162 went in as an upgrade, most of the customizations were already there. Unfortunately it didn't start working. I plan to do a clean install of the GA version when it comes out. I'll track whether Run works on a virgin system and assuming it does, then what I tweak that causes it to fail. Command line switches for programs should work in the search box again in Classic Shell 4.2.3 release candidate. However, neither Ivo nor I could reproduce the issue where the "Run" item doesn't work on Windows 10.